Northern Ireland born Hannah Peel is a singer-songwriter, multi-instrumentalist electronic composer now based in London. 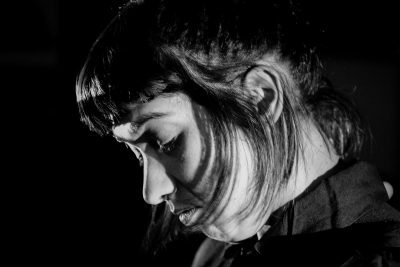 A member of The Magnetic North, her recent collaborations include with Beyond The Wizard’s Sleeve (aka Erol Alkan & Richard Norris) John Foxx and the Maths. 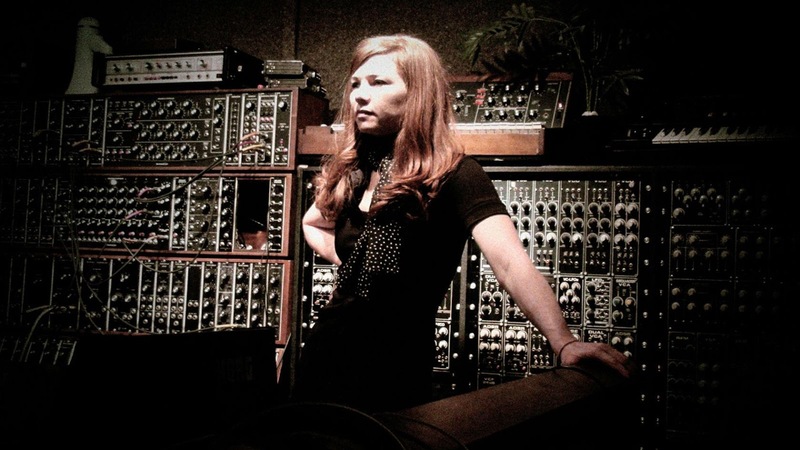 She has also been composing under her new synth-based, space-age alter-ego Mary Casio with an experimental piece combining analogue electronics and a 33-piece colliery brass band (it debuted to a sold out Manchester audience in May). Although modestly she shies away from any comparison, it’s little wonder The Observer recently described Peel as ‘a latter day Delia Derbyshire’. Howlround create recordings and performances entirely from manipulating natural acoustic sounds on vintage reel-to-reel tape machines, with additional reverb or electronic effects strictly forbidden. In an age where one can create all manner of electronic music with a simple swipe of a mouse, Howlround prove not only how much fun is to be had in making things complicated again, but conversely just how little effort is sometimes needed to create a genuinely uncanny and beguiling sound world. ‘Manually manipulating reels that feel like they’ve only recently been exhumed, the duo weave a dense tapestry as haunting and immersive as Delia Derbyshire and Brian Hodgson‘s Legend Of Hell House Soundtrack’ – The Wire, Nov 2016. A big thank you to Steve at Thonk for sponsoring our event again this year. Thonk specialise in modular synthesiser kits and accessories. 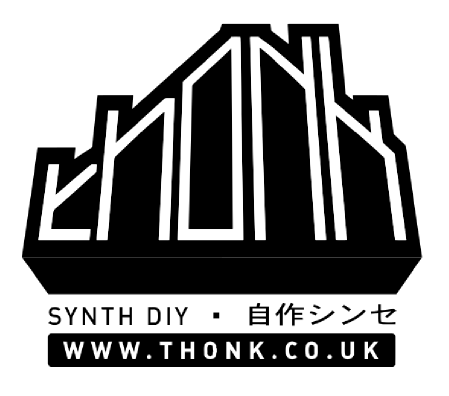 As DIY equipment building is one of our favourite things, and something we want to encourage more people to do, this makes Thonk an ideal sponsor for Synthcurious. Check out his website. There are kits on there for all budgets, and for all capabilities. We plan to do some DIY workshops in future, where we will be on hand to help you build your own equipment. If you are interested in taking part, and/or have some ideas on what you would like to build, then get in touch. 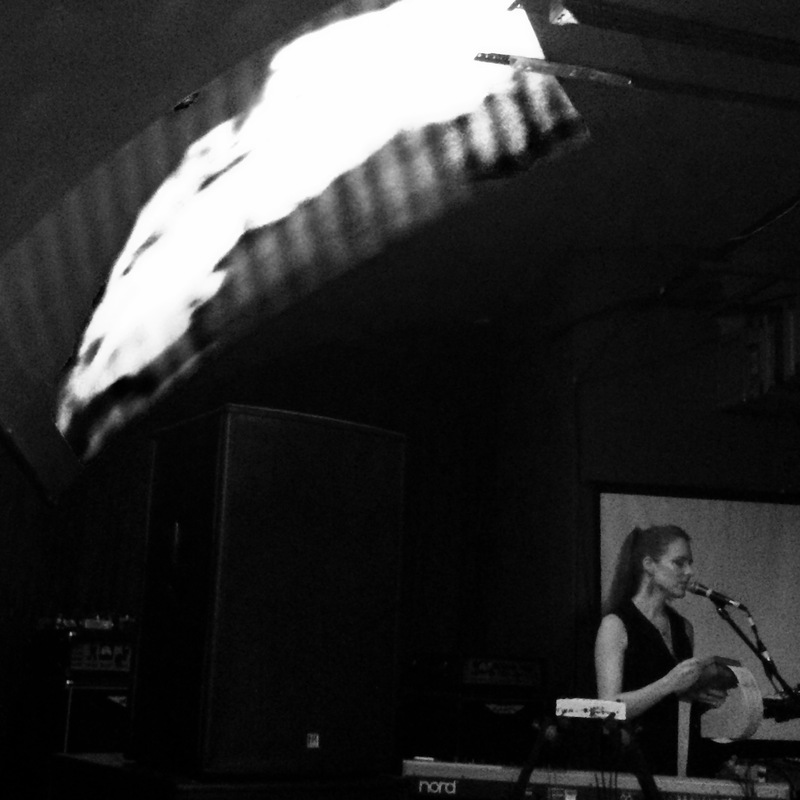 Many thanks to Kite Base, I Speak Machine and Hannah Peel for a fantastic show last night. It was ace to see such a great turn out, thank you for your support. And thanks, as always, to The Tin for hosting the event. 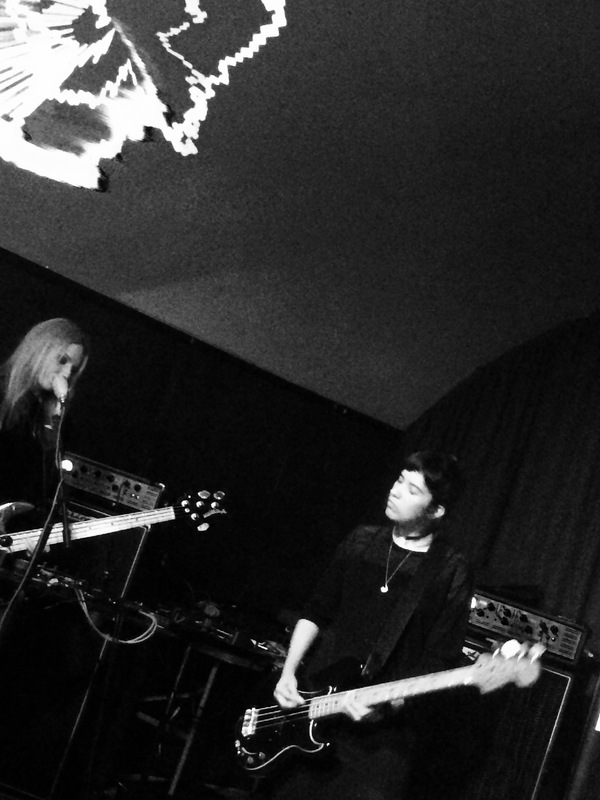 Kite Base is an electronic duo featuring Ayse Hassan (also bass player in Savages) and Kendra Frost. Comprised of two bass guitars, vocals and beats with an industrial edge; blending the craft of pop with organic noise. The name is based on one of the main starting points found in origami, a Kite Base is an opening move made with simple folds to generate a firm and fertile foundation for creativity. It can become whatever you want it to be- simple or complex – based on the imagination of the creator, inspiration and chance. 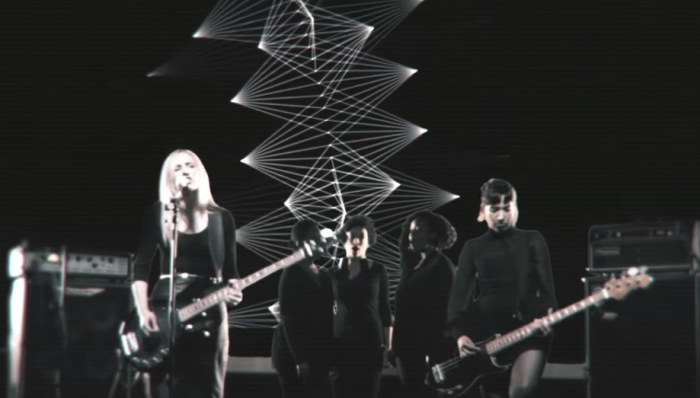 Ahead of their shows supporting Gary Numan, we are delighted to welcome I Speak Machine back to Synthcurious, after their amazing show last year. 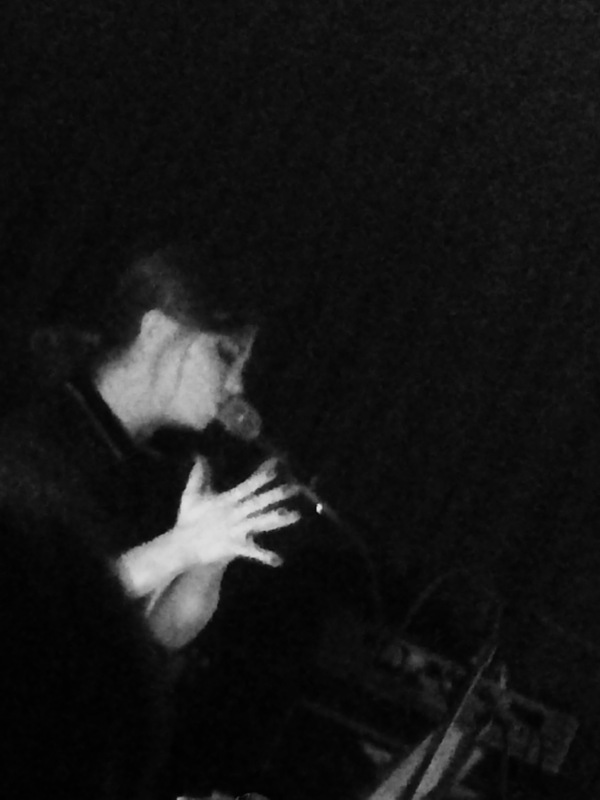 I Speak Machine are vocalist and self confessed synth-nerd Tara Busch and filmmaker Maf Lewis. Together they make brooding soundtracks and horror/sci-fi films. Their short films include the UK filmed sci-fi thriller “The Silence,” ghost horror short “Gagglebox,” and their newest creation, “Zombies 1985” – a blood-drenched period zombie piece shot in Los Angeles. The soundtrack to “The Silence” was released in 2015 on Lex Records on limited edition vinyl and digital download. I Speak Machine are currently working on the groundbreaking graphic novel and feature film “STRATA,” with comic book legend Tommy Lee Edwards, Lex Records, Penguin/ Random House and Google. 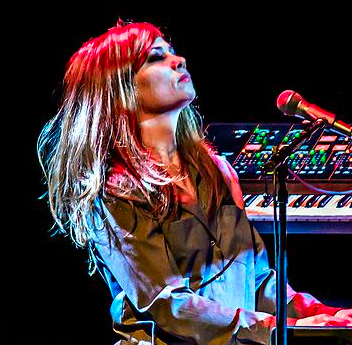 Synthcurious are happy to announce singer and electronic composer and member of The Magnetic North, Hannah Peel will be performing live on 13/09 with her electronic solo setup her new album ‘Awake But Always Dreaming’ out 23rd September 2016. 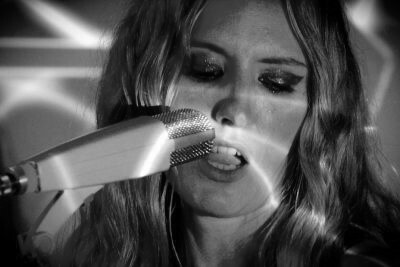 This year, her recent collaborations with Beyond The Wizard’s Sleeve (aka Erol Alkan & Richard Norris) – was featured on two BBC6 playlisted singles ‘Diagram Girl’ and ‘Creation’ and her band The Magnetic North released their critically acclaimed follow up LP ‘Prospect Of Skelmersdale’ in March. She has also been composing under her new synth-based, space-age alter-ego Mary Casio with an experimental piece combining analogue electronics and a 33-piece colliery brass band (it debuted to a sold out Manchester audience in May). Although modestly she shies away from any comparison, it’s little wonder The Observer recently described Peel as ‘a latter day Delia Derbyshire’.